Paschal is the Fine Gael TD for Dublin Central and in June 2017 was appointed as the Minister for Finance & Public Expenditure and Reform. 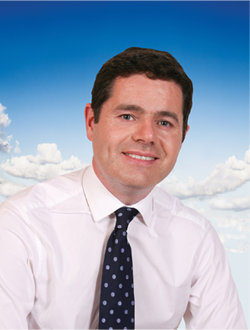 Prior to his appointment as the Minister for Finance & Public Expenditure and Reform, he served, from May 2016-June 2017, as the Minister for Public Expenditure and Reform, and from July 2014-May 2016, as the Minister for Transport, Tourism and Sport. Paschal has also held the position of Minister for European Affairs at the Department of An Taoiseach and the Department of Foreign Affairs from July 2013-July 2014. Paschal was formerly the Chair of Ireland’s Future in Europe Oireachtas Sub-Committee, as well as a member of the Public Accounts Committee. He has also served as the Vice-Chair of the European Affairs Committee and, as a Senator, he served as a member of the Joint Oireachtas Committee on Transport. During his time as member of Dublin City Council, Paschal served as Chair of the Environment & Engineering Strategic Policy Committee, as a member of the Corporate Policy Group and also as Chairman of the Central Area Committee. Paschal is a graduate of University of Dublin, Trinity College, with a degree in Politics and Economics and has attended St. Declan’s CBS, Cabra. Contact Paschal by phone on 01 6183689 or by email at paschal.donohoe@oireachtas.ie. Ray lives in Stoneybatter and has represented the communities of the North Inner City on Dublin City Council since 2009. He has served as Chairman of the Dublin Central Area Committee, a member of the Grangegorman Community Liaison Forum and is on the Community Council of the Dublin Docklands Development Authority. Ray has worked on the Council’s Task force to tackle sub-standard, privately rented accommodation across the city and is an active member of the Parnell Square and Markets Regeneration Monitoring Committees. 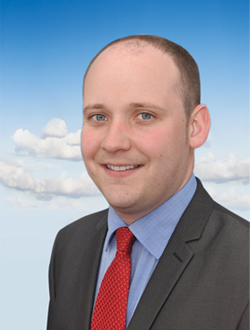 Councillor McAdam has also served on the Board of the O’Devaney Gardens Regeneration Project, the Community Policing Forum and the North Inner City Local Drugs Taskforce.